I love pictures. Pictures are my life, pictures are my memory. I have a tough time remembering things, so when I look back at pictures I can remember all the good times I had. Picture frames around the house are a perfect decorating idea for all. There are so many out there that you can make for yourself. My favorite is the dot frame trio. You can put fabulous photos inside and hang it on any wall. The polka dots really do add a little something. 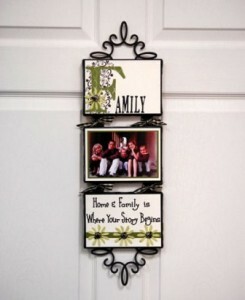 A great frame that would look amazing hanging on your door is the family frame door hanger. The best word of all time is family. They are the most important people in your life, so share them with the word. If you’re more into art and embossing metal then the metal frames are calling your name. I like these as you can put any photo in it. You can take scenic photos and put those in or photos of your friends. 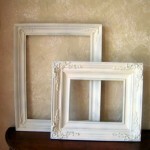 Frames make for great home decorating ideas, whether they are sitting on a table or hanging from a door. Click here for some really neat industrial frames. I am a huge fan of vintage home decor – namely wall hangings like mirrors and frames that accent a modern-feeling room. On my bedroom wall hangs a large oval mirror, vintage-inspired with its intricate edges and stressed antique coloring, that I picked up at a thrift store for $18. 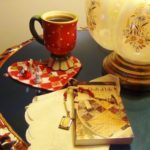 To me, having a vintage style doesn’t necessarily make me an antique collector or a retro decoart enthusiast. Instead I’d say I have an eye for old beauty that incorporates well with the clean lines and colors of modern decor. 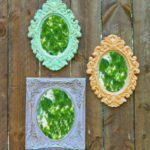 Perusing through the Etsy web site, I found these vintage-inspired frames that can be filled with a large picture, mirror or decorative fabric. More recently, I’ve been interested in the idea of creating my own wall art that may not be from the second-hand store, but definitely looks like a throwback item. Sometimes even the thrift store charges more than you want to spend on something that’s not even new. So why not touch-up a mirror or frame you have lying around your house? 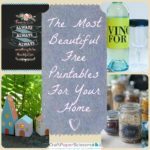 It’s a cheap and easy way to change up your home decor without spending a ton of money on new things. 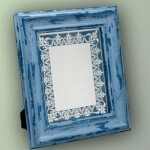 Check out this do-it-yourself vintage mirror at Favecrafts.com. I have nieces and nephews who are just the cutest. I love hanging out with them and doing different crafts with them. It gives them a chance to use their imagination and be creative. Sometimes it’s hard though to keep my patience with them, in a general setting and while doing crafts. 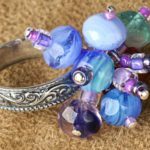 I know a lot of parents who like to craft with their kids, but get frustrated easily. The key is to NOT. 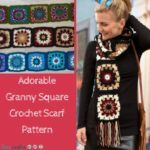 I found this great article that gives 10 great tips on how to avoid certain things while starting a craft. Some of the tips include beginning a project that’s too difficult, trying to control everything and worrying too much about neatness. I for one am a neat freak so when the kids don’t do something perfect it irritates me. 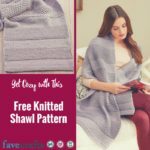 When you’re doing crafts though, these are some of the things you need to avoid. 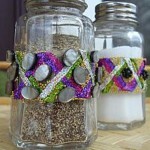 This smiley face beaded bracelet has a lot of materials and steps. If this is something you’re going to work with your kids on make sure you follow the tips listed in the article. 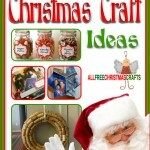 Some other fun, but semi difficult crafts for kids to do might be a photo holder or fuzzy critter crafts.